Skamet is sponsoring Kaido Orav, a competitor for “Erki Sport” rally team. More information about the competition and competitors can be found here. We invite everyone to take part in this spring’s most interesting rowing competition at Pärnu river! 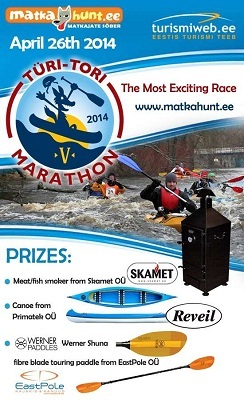 On the 2nd of May, Türi-Tori V marathon takes place and Skamet is sponsoring the event with a special prize!